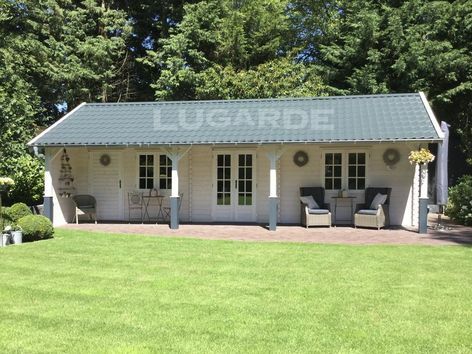 The Lugarde Vicenza is a two room log cabin with a practical full width eaves front canopy with four posts with braces and decorative bases. There is a window and door into each room plus side window. 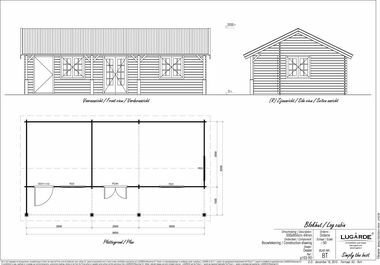 Size of cabin 9.5m x 3.5m in 44m plus 9.5m x 1.5m eaves front canopy. The standard package includes 1 x PE24H double door, 1 x DDo1H solid door and 3 x PE23 windows.